Most people nowadays couldn't live without their smartphones. It has become a constant in their every day lives. Every year, phones are made better. 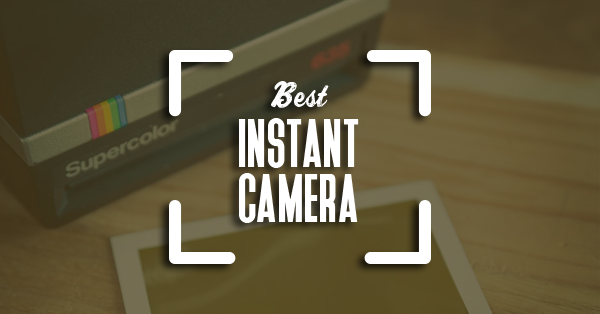 Among the features that continue to strive to become the best is the camera. 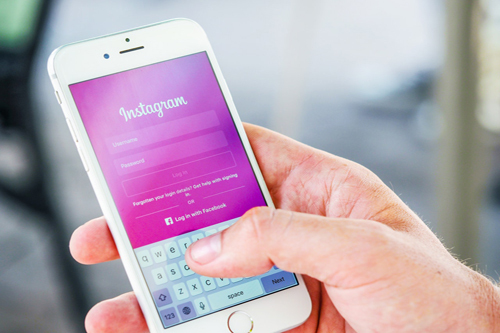 Mobile phones are constantly trying to keep up with the growing interest of the users on social media. 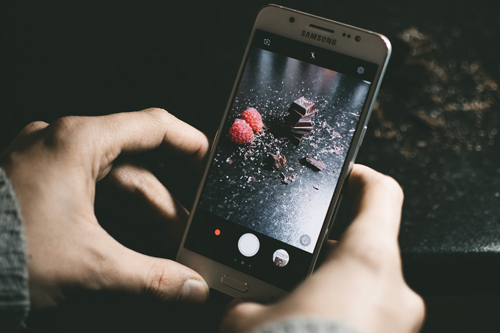 This article will teach you the things you need to know about smartphone photography. 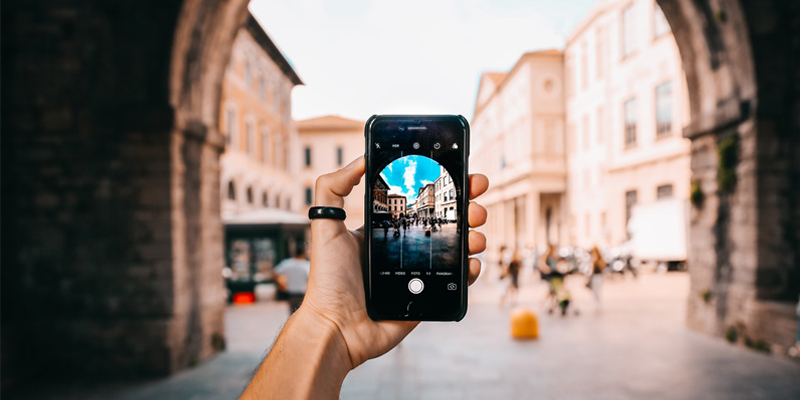 This will give you tips on how to take good photos with your phone and help you discover which apps you can use for post-processing. We will give you the rundown of all it is you have to learn to step up your social media game. If by now you’re hooked, keep on reading. 2 How To Take Good Photos With Phone: Know Your Camera Settings First! Both smartphones and DSLRs have their pros and cons. However, in this article, we will be putting the smartphones in the spotlight. When it comes to price considerations, DSLRs are naturally more expensive. Understandably so, it is a device that does exactly what it is made for. On the other hand, smartphones are not entirely about the camera. So, there will be compromises necessary to fit well with the phone's other features. 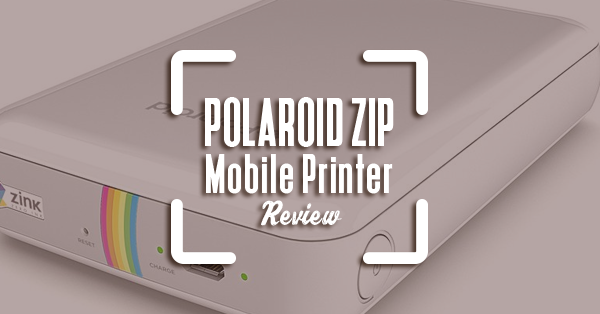 Unlike DSLRs, smartphones are really handy. You can take photos with one hand with just a click of a button. Using a smartphone is pretty straightforward. Of course, there will be some settings that you can adjust for better images. Smartphones are easier to use because they are not as bulky as a DSLR. When you are doing street photography, it is much faster to capture those photographic moments. It is also a bit more discreet. When people see a camera, they tend to shy away or change their behavior. With a smartphone, you will be able to capture real emotions at the moment. For some situations, using a smartphone is more convenient, for example, in crowded places like concerts or parades. When there are too many people, and unless you are willing to risk your expensive DSLRs, a camera phone will go a long way. You won’t have to miss out on special moments just because using a DSLR can be an inconvenience. This is where a smartphone comes in. 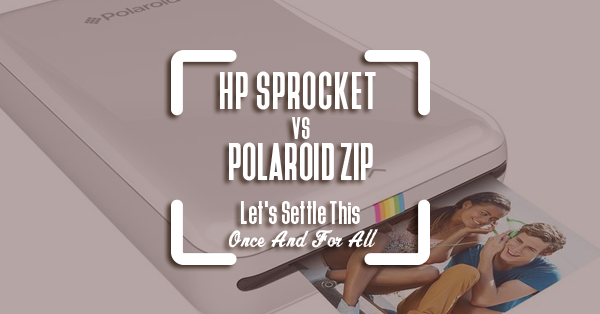 Since it comfortably fits in your pockets, it is also easy to take out and keep. Let us not look at smartphone cameras as lacking. Let us view it as an opportunity. 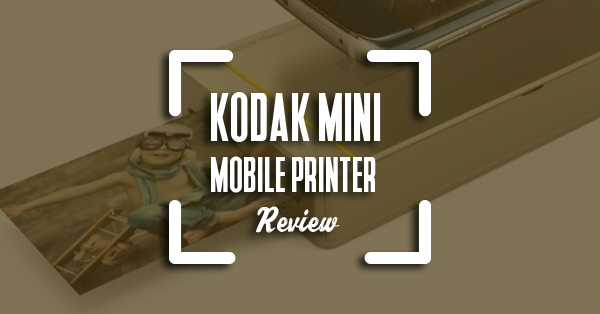 Since smartphones limit your settings and options, you can quickly get the hang of it to its fullest extent. However, smartphone cameras do not give you a shallow depth of field or sharp shots of moving subjects just how a DSLR can. Even mobile photo editing apps cannot give you much control in post-processing. 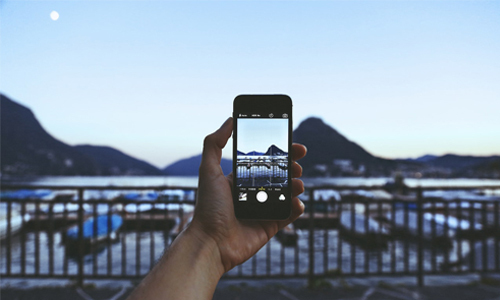 Taking great photos using a smartphone's camera will rely on your composition. You will have to develop your photographer's eye. Play with lights, colors, lines, angles, placement of your subject, and the emotions you’re trying to convey. These are all important elements in a photo. Good composition completes the package. 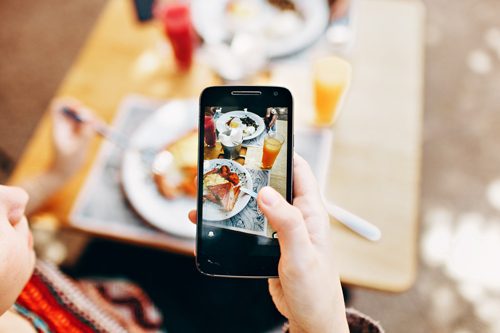 When you take photos with your smartphone, you can instantly share it on social media or back it up on cloud storage. If you intend to share your photos with your friends or for the whole world to see, social media is the way to do it. 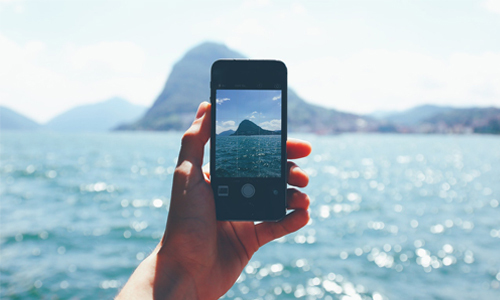 Using smartphones lets you take photos and upload it with only one handy little device. Most people like sharing their pictures with everyone while some would not want to be seen by anyone. You can store your photos in various cloud storage options if you are running out of space on your hardware. It is also ideal to save them online, so you have a backup. It will be such a nightmare if you lose your essential photos. How To Take Good Photos With Phone: Know Your Camera Settings First! 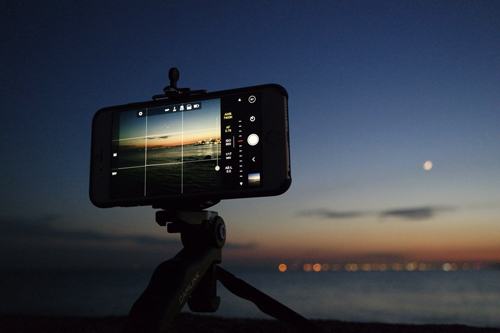 Even though smartphones are not as sophisticated as DSLRs, they also offer some settings to take better photos. First of all, what phone are you going to use? There are so many to choose from. Your phone choice will also play a role in the quality of photos you can get. 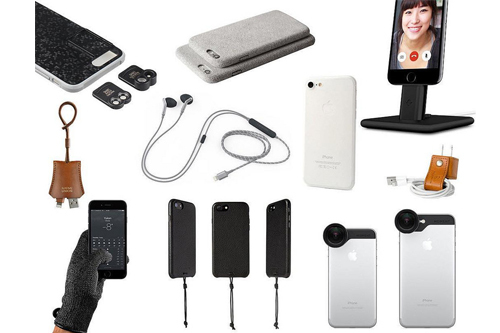 Many different smartphone manufacturers offer a wide range of camera phones. Some are affordable while some could cost more than what you can pay for. Before you buy anything, it is crucial that you do your research. Make sure the one you buy matches your preferences. Price is a significant factor, but the specifications also matter. For photography, you will want one that offers excellent image quality with higher pixels. Look at some sample photos online or go to a store and test it yourself. If you have a few extra bucks, you can invest in a few things to improve your smartphone photography experience. Like DSLRs, there are also lenses that are to be used for smartphones. There are different lenses you can choose from to create effects or to add basic DSLR-like functionalities. There are also available waterproof phone cases. If underwater photography is your thing, then you need to ensure that your phone is safely sealed. Screen protectors also safeguard your screen from cracks and dents. If you like taking a photo of everything you see, then you may experience battery drainage. It is smart to have a backup in case your phone runs out of juice. You would not want to miss out on the picture-perfect opportunities that may come. Photography is a visual art. It appeals to the sense of sight. It makes sense that a photograph should catch the eye of a viewer. There are many elements you can use to make your images more captivating. Light has the most critical role in photography. It is the dominant element in what makes photographs exist. 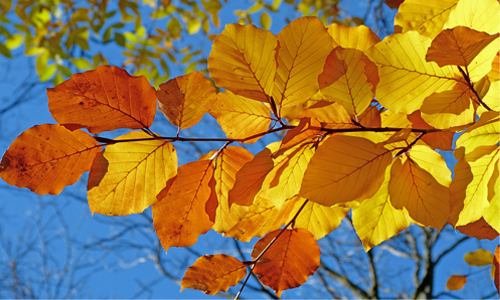 When taking photos, it is essential to know how the light hits your subject. Different times of day have different amounts of lighting. There is harsh sunlight during midday, warm tones during golden hour, cold tones and low light during blue hour, and low light after sunset. There will be days where the sun can create good shadows. There will be other days when you can take moody images during gloomy rainy days. Take advantage of the inconsistency and let your creativity flow. Aside from natural light, you can also use artificial lighting. Indoor or studio photographers make use of different lighting equipment to take good photos. Of course, usually, they use DSLR cameras for this kind of photography. Still, if you feel you are up for a change, use a smartphone for studio photography. Your subject is the focus of the photograph. Nail your focus, so viewers know which part of the photograph is your subject. Most of the time, it is important that your subject appears sharp in your photo, but there are exceptions to the rule. Sometimes a motion blur makes the photo more dynamic. It shows action. For example, imagine a photo of a busy street. When all the people are sharp, and in focus, it looks more like it is just crowded. When there are bits of a blur, it shows that there is movement. To help put the focus on the subject, make use of leading lines. 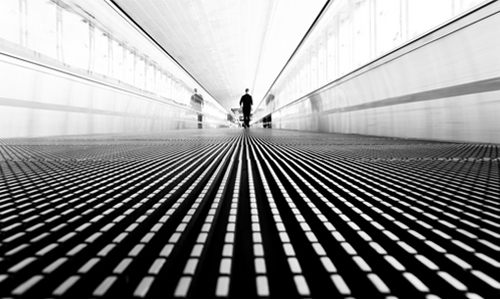 These are lines that will lead your viewers' eyes to the subject of your photo. Imagine a long and straight empty road and put your subject at the end of it. The straight lines of the road lead your eyes to the subject. It puts your subject as the main focus because the lines draw your eyes to it. The colors in the photograph help in making a photo look more attractive than its original look. It also helps with the tone you are trying to convey. Whether a burst of bright colors or simply black and white, color is a highly important element that spells perfection. Solid colors make a good background. A plain wall, or maybe the blue sky, can be the background. Place your subject in front, so it stands out. It is also important to know that a combination of colors can change your snapshot’s overall feel. Photos look nice when the colors complement each other. Completely contrasting colors can also make them look interesting. Framing also lets your subject be on the focus. Subjects in a frame immediately put it as an integral part of the image. Creativity is needed when you want to add this element to your photos. Look around you; there are many things you can use to frame your subjects. You can shoot through a window, a fence, a hole in the wall, or anywhere and anything your eyes see fit. Emotion in photographs does not solely rely on people's expressions. You can express moods using your photo even without actual persons making facial expressions. Colors can set the mood of a photograph. It could be bright, gloomy, fun or moody. Objects in the photograph can clue in the viewers what message you are trying to say. It is like symbolism. A calm blue ocean evokes the feeling of peace and serenity. This is probably the most basic thing you will learn when it comes to photography. Imagine two equidistant horizontal and vertical lines dividing your photo into nine. The rule is you place your subject in any of the intersecting points. This is a reliable way of keeping your subject in focus, but not all the time. Sometimes a subject placed right in the middle makes more impact than when it is slightly to one side. You can take lots of photos with your smartphone. You can take several shots of one subject in different angles. When it is time to upload, you have to pick which one is the best. But if you are the kind of person who posts everything, then by all means, have it your way. You can also choose to leave your photo as it is or you can make some tweaks to improve it. A little post-processing can help enhance your overall image. There are apps that you can download for editing purposes. Mobile editing apps may be limited in its capabilities, but it can still give you basic tools to improve your photos. Some apps you can use are VSCO, Snapseed, or Instagram. 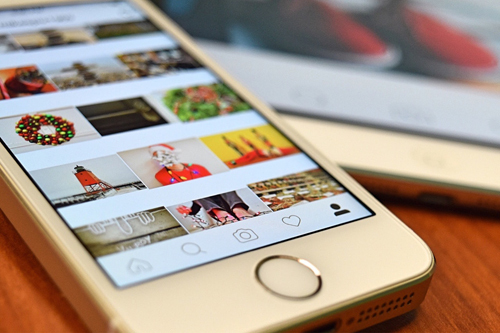 Instagram is seen more as a social media site, but it also gives you options for editing. VSCO and Snapseed have basic tools like cropping, contrast, tones, brightness and more. They also have filters you can use to enhance the appearance of your photos. If you intend to make a career out of this, posting your photos online can be a good way to reach a bigger audience. The Internet is worldwide, so your photographs could reach a saturation point is wider than you expected. Hashtags are used to curate posts online. It helps group images and texts that are in similar categories. Using hashtags puts your photos in the pool when people search for specific keywords. It enables you to reach people that might be interested in your work. Photographs tell a story, but sometimes people want more. Pairing your photos with appropriate captions makes them more interesting. Captions that evoke feelings out of the viewer make him or her more engaged in the photo. Photography does not have to be as complicated as using a DSLR. You can take good photos with a decent smartphone. Photographers always say that it is not about the camera, it is how you use it. This is true if you know how to make a good composition in your photographs. Skills and talent are important to excel in whatever you do. 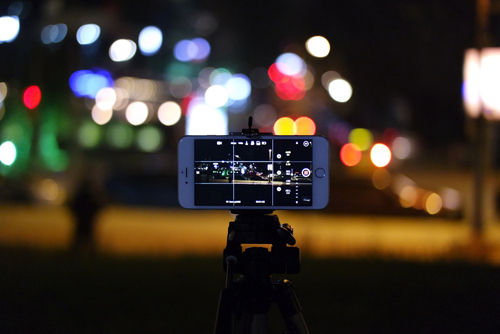 There are also tons of apps you can use to help you capture great shots. There are camera apps that give you more in-camera settings. There are also apps that let you edit your photos. Despite the limitations a smartphone camera has, the apps compensate. 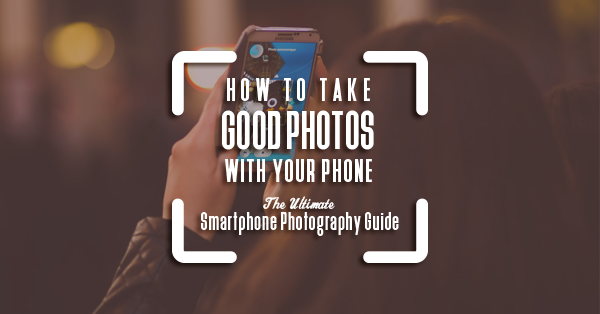 This article teaches you how to take good photos with your phone. It also gives you the necessary information on how to expand your reach in the photography world.